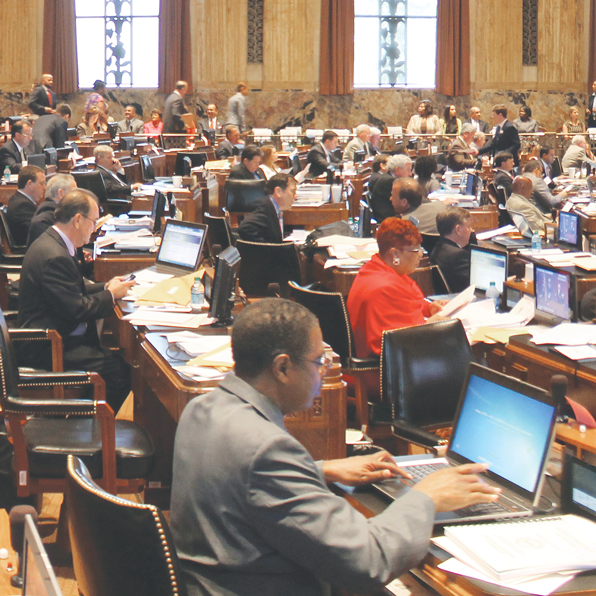 BATON ROUGE — Supporters of the right to keep and bear arms scored big victories in the House Committee on the Administration of Criminal Justice at the State Capitol Wednesday. The committee approved seven bills strengthening the right to keep and bear arms and killed two bills which would have weakened it. • HB4 by Rep. Barbara Norton — To require firearms to be locked up in a residence. Deferred. • HB141 by Rep. Austin Badon — To prohibit purchase of a firearm unless the buyer has taken an approved firearm safety course and possesses a gun permit. Involuntarily deferred. The committee also approved a bill on background checks that expands the reporting of mental health issues. Persons who have been involuntarily committed, found not guilty by reason of insanity, or found unable to proceed with a criminal trial because he lacks the capacity to proceed would be reported to the Louisiana Department of Public Safety and then to the FBI database. This bill passed 14-0. It does not expand what transactions are subject to background checks, but rather what information on persons with mental health issues would be reported to the federal government. Several other bills related to the right to keep and bears arms are pending in other House committees or in the Louisiana Senate. One bill would require voter registration information be provided to persons at firearms dealers.